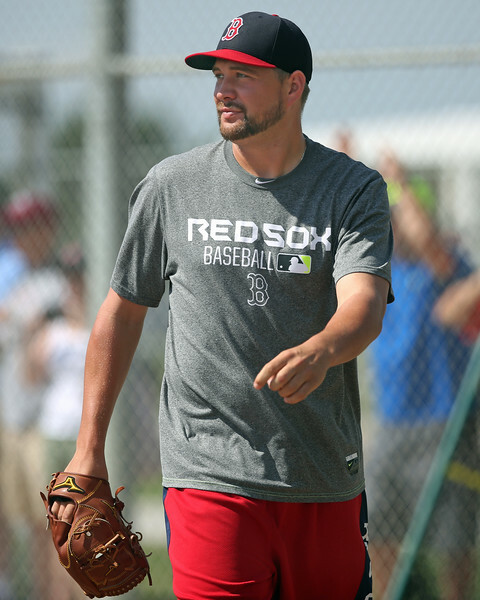 PAWTUCKET, R.I. -- For Brian Johnson, 2015 produced quite a few highlights and milestones. He pitched to a 2.53 ERA and 1.10 WHIP in 18 starts with Pawtucket, seemingly conquering the last step on the ladder up to the big leagues. The positive momentum culminated with his major league debut on July 21. However, while success may have been playing out publicly, trouble was brewing beneath the surface. Despite the success, Johnson’s arm began not feeling right starting sometime early in May. He was having numbness and unusual issues with his throwing arm. Johnson adapted by changing his release point at times, even mid-inning, but that had unintended consequences as well. As it turned out, Johnson had damage to the nerve in his throwing elbow. He was able to mask the effects of the injury well enough to have success, and be promoted for that major league debut. Johnson went 4 1/3 innings, allowing three hits, four runs, four walks, and striking out three in his only start. But it was at this time that things began to unravel and it became clear that he could not continue to pitch through the problem. He made two more starts in Pawtucket after the major league debut with still strong results, but he knew it was time to face the issue head-on. Though he was happy that Tommy John surgery would not be required, the diagnosis came with its own set of worries. It’s unclear why this developed for him, and doctors were not able to provide an answer on that. However, Johnson shot down one theory that it may have been aggravated by the 15 days rest he had prior to making his major league debut. Around the end of the season, he was feeling healthy again and had a normal offseason as a result. Coming into spring training, he was able to throw enough that he was feeling confident airing it out. Having moved past the elbow problems, Johnson said he felt like it was a breath of fresh air being able to throw this spring without restrictions. However, the celebration was short-lived as the injury bug resurfaced; this time on a freak play in his third Grapefruit League start. “[The batter] tapped that ball down the line, and I went to run and I just kind of felt my toe sprain. I really couldn't believe it. I was kind of like, ‘Did this really just happen?’ in that moment,” he said. Again, the big toe sprain prevented him from grabbing hold of an open rotation spot with Eduardo Rodriguez’s own injury creating a hole. He’s ready to put the injury bug behind him now, once and for all, heading into the season. 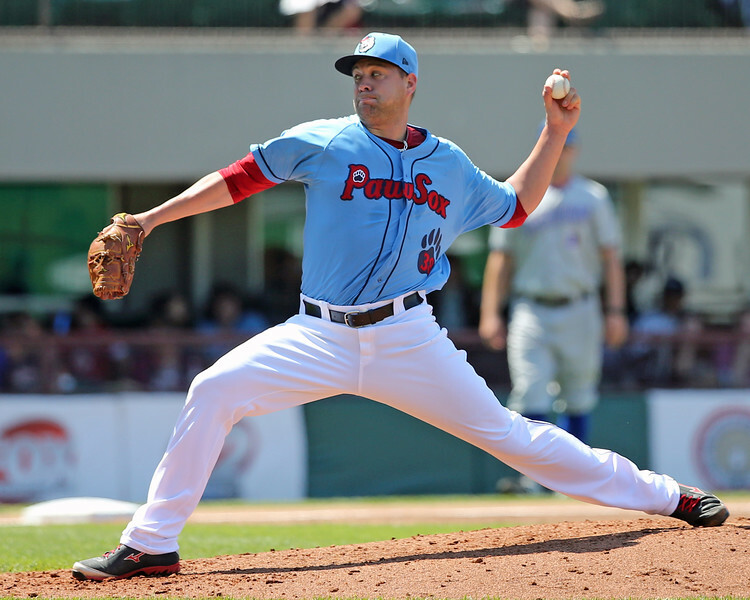 He has thrown three starts in minor league games since recovering from the toe injury and is up to about 80 pitches. Though he admits he’s not ready to go unrestricted in his first start, he’s hopeful to be able to give Pawtucket five innings. Now he just has to continue to produce the results from last season and bide his time until another rotation spot becomes available. Fortunately, Johnson can now focus on the finer points of pitching. Matt Huegel is managing editor for SoxProspects.com. Follow him on Twitter @MattHuegel.